Indie Retro News: Will to Survive : RTS Survival with Z... I mean Aliens! Will to Survive : RTS Survival with Z... I mean Aliens! 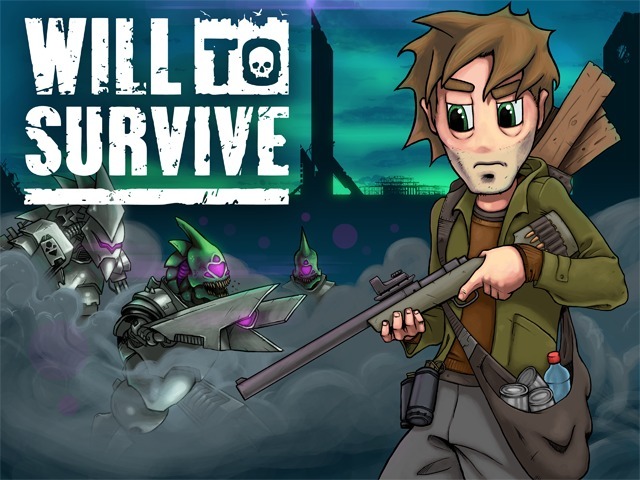 Developer Quote : Will to Survive is a fully real-time survival RPG set in a persistent and perpetual world full of alien invaders. Game Info Quote :Will to Survive is a true real-time survival game with base building elements and a few twists. You control Will, a resourceful survivor living in a world inhabited by deadly alien invaders. The objective of the game is to keep Will alive for as long as you possibly can. Will to Survive's persistent and perpetual world means even while you are away from the game events are simulated, so make sure you have enough supplies to last and that your safe-house is suitably fortified or you may well return to find your Will has been destroyed. Death means death in Will to Survive. Permadeath means that if Will dies, you start from scratch at the beginning along with any of the unlock-able perks that you may have collected. To help you keep your Will alive it will also feature the ability to synchronise your save between devices. That way you can check up on your Will, any-time, anywhere.